100% synthetic bristle. Perfect for cutting in. Waxed wooden handle and stainless steel ferrule. Sizes are 18mm, 20mm and 23mm. 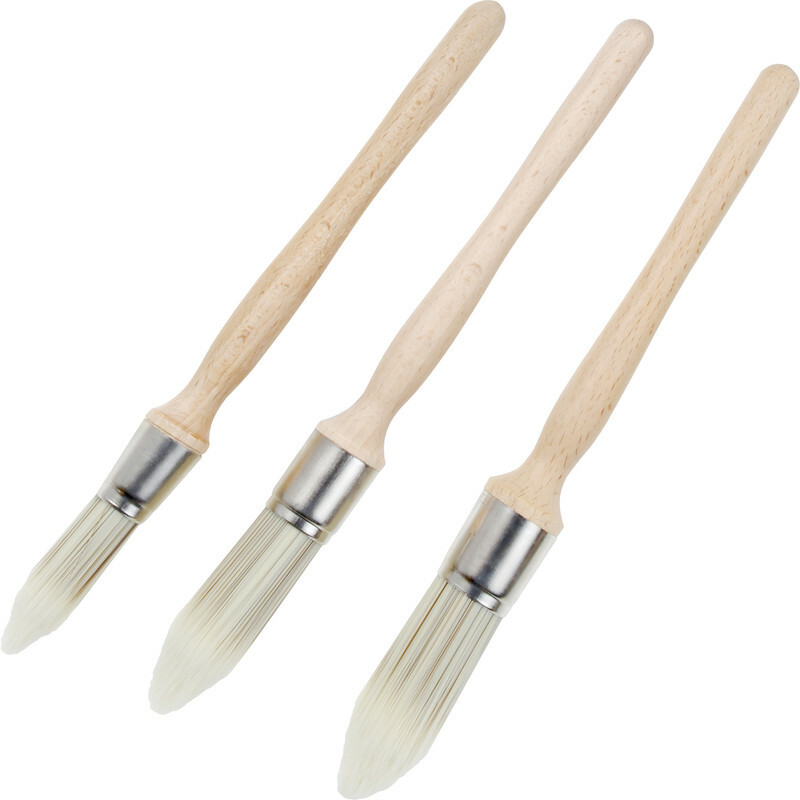 Kana Synthetic Sash Paintbrush Set (3 Piece) is rated 3.5 out of 5 by 11. Rated 5 out of 5 by Not since my youth from A definite PLUS I have never found a better sash brush, cuts in a treat. Rated 5 out of 5 by RoyatCK from Kana Synthetic Sash Brush Set I bought this set of brushes to re-paint the disc callipers and frames on my car. The paint I used was a slow drying enamel. The bristle body was good on all the brushes with good flex and paint retention. The sash brush shape was perfect for the job and the finish obtained was what I was looking for, all-in-all a good product - even though I missed out on the previously discounted price. Rated 1 out of 5 by Mike K from Poor quality Won't be buying this brand of brush again, quite cheap feel about them the nylon filament as In bristles kept falling out I'd imagine after a couple of jobs all you'd be left with is the handle. Rated 5 out of 5 by tonyb from really good brushes. these synthetic sash brushes are so gentle and fluid. it is so easy to cut in an edge with them i am glad i bought them.